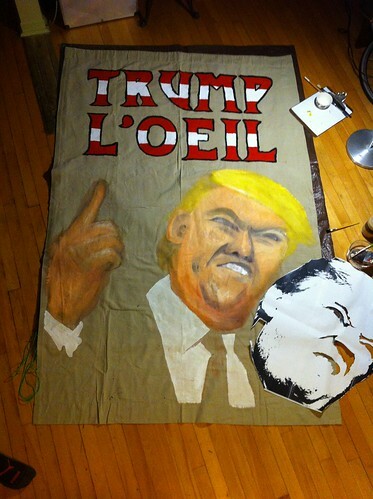 David widgington carries the “Trump L’oeil banner during Montréal’s solidarity Women’s March on Washington, January 21, 2017. 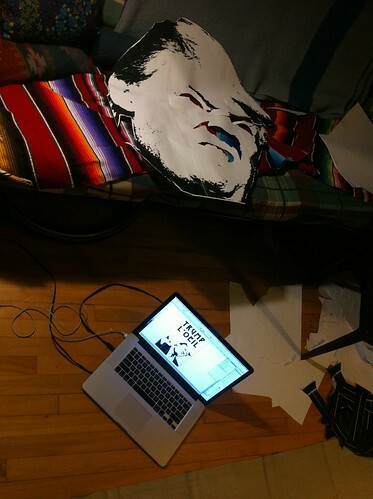 Photo by Andrea. 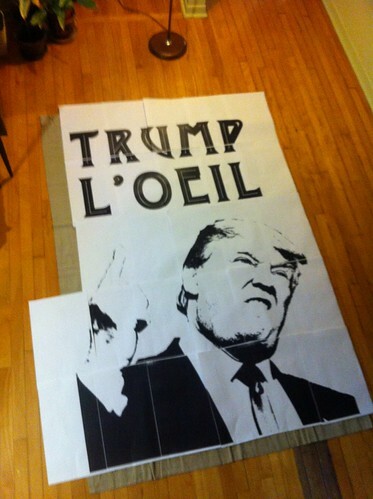 In solidarity with the Women’s March on Washington that took place on the day after the innauguration of US President Donald Trump, I made this banner for the Montréal march of the same day. 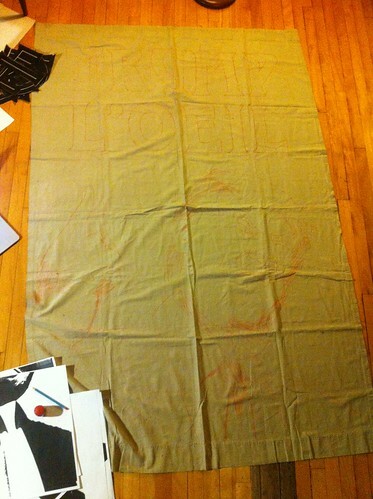 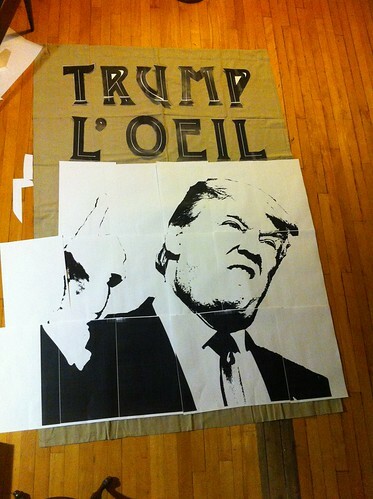 It was a spontaneous creation with the help of Chloé Germain Therien. 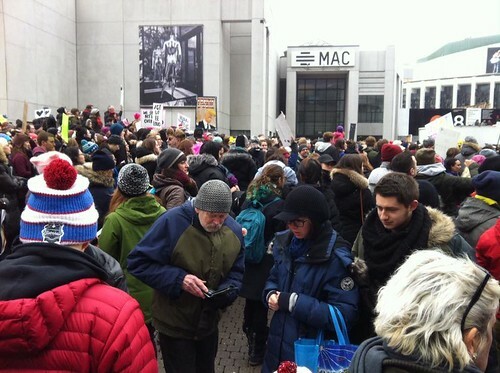 The Montréal demonstration took place at la Place des Arts. 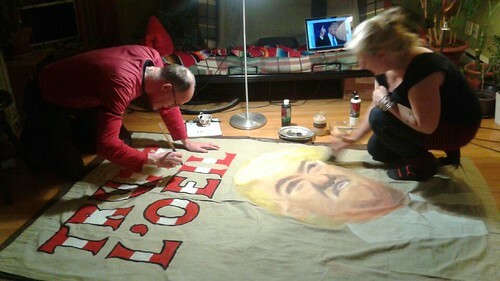 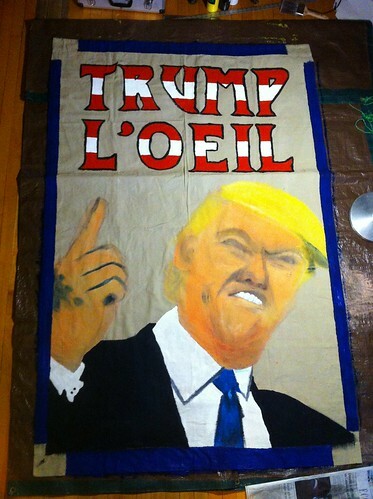 “Trump L’oeil is a play-on-words of the artistic technique trompe l’oeil, which can be translated from the French into English as “deceive the eye”. 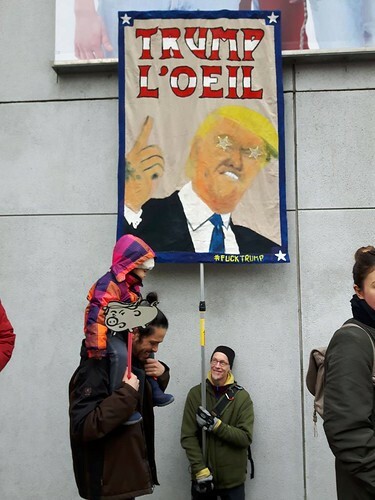 The banner is an expression of the total distrust of Donald Trump and his alternate facts and blatant lies. 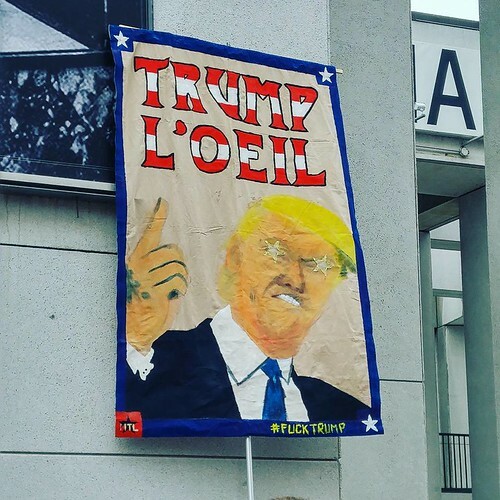 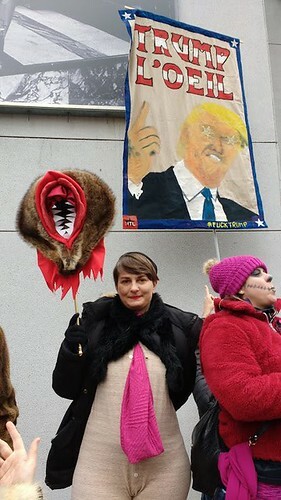 As the bottom of the banner writes: #fucktrump.